How much is Banksy Worth? Banksy net worth: Banksy is a famed graffiti artist and documentary filmmaker who has a net worth of $50 million. Banksy began his career in the world of graffiti around the year 1990. It was during this early phase of his career that he first began using the technique of stenciling rather than using only freehand to complete his pieces. This technique allowed him to get in and out of tight places really fast, which is an important part of a graffiti artist. 12 years after first hitting the scene, in 2002, Banksy had his first gallery exhibition in Los Angeles at the 33 1/3 Gallery. From there, Banksy steadily became a fixture of the legitimate art scene, with his pieces going for big prices at auction. 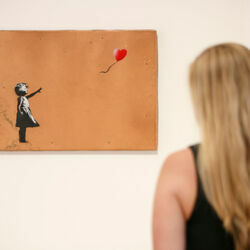 One buyer in particular was notable – pop star Christina Aguilera bought a piece of Banksy's for £25,000. 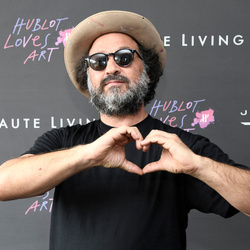 Despite his increased fame, Banksy continued (and continues) to keep his true identity a secret, even amidst the release of his directorial debut, a "documentary" of questionable authenticity entitled Exit Through the Gift Shop, which purports to explore a rivalry between Banksy and an up-and-coming street artist known as Mr. Brainwash. 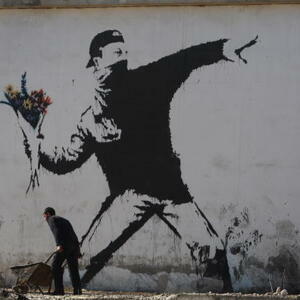 Banksy's work now sells for millions of dollars. Kate Moss Burglary: $115,000 Banksy Stolen!